Update: 1/17/19 (10:05AM) - Afternoon Reading Cubs will run on schedule and buses will use regular routes to bring students home this afternoon. All East Valley Schools will be on a 2-hour delay today, Thursday, January 17th, due to weather conditions. 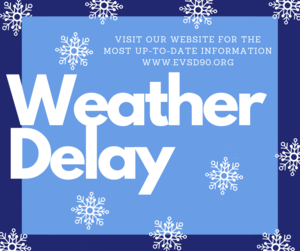 There will be no A-M preschool & buses will be using snow routes.